Add a new technique to your free-motion quilting repertoire! With a ruler foot and acrylic templates as guides, you can stitch precise straight lines and curves with minimal marking. You'll learn how to quilt intricate designs by stitching simple straight lines and arcs dot-to-dot. And you'll get hands on practice by starting an elegant 20" square whole cloth quilt (pattern provided) that you'll finish at home. Please note: special supplies are needed for this class; review supply list in detail. 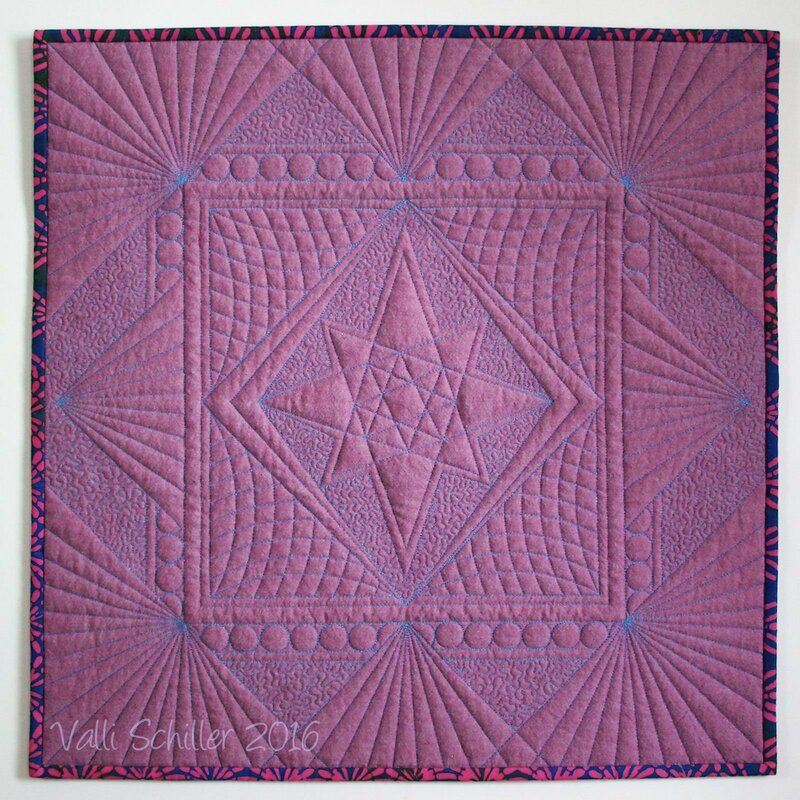 Optional: Valli Schiller rulers for ruler quilting may be purchased directly from her on day of class. Requirements: You need working knowledge of free motion quilting, including setting up your YOUR machine, stitching on a marked line, and freehand stippling/meandering. This class requires specialized equipment: You MUST have a ruler quilting foot specific to your machine. Valli will have her own acrylic templates for sale during class, or you can use other straight/shallow arc templates. Please see supply list for details.